Find the effect of length, mass, and angle on the period of a pendulum. The pendulum is attached to a clock that can be adjusted to tell time accurately. The clock can be located on Earth or Jupiter to determine the effect of gravity. Discover the properties of a pendulum. Measure the period of a pendulum. Design controlled experiments to determine the effect of length, mass, starting angle, and gravity on the period of a pendulum. 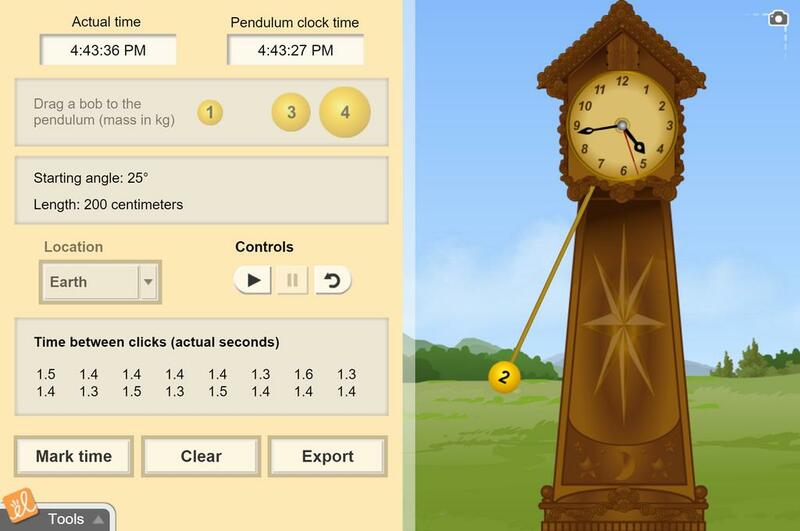 Apply knowledge to create a pendulum clock that will tell time accurately. excellent to compare conditions on Earth to other planets.